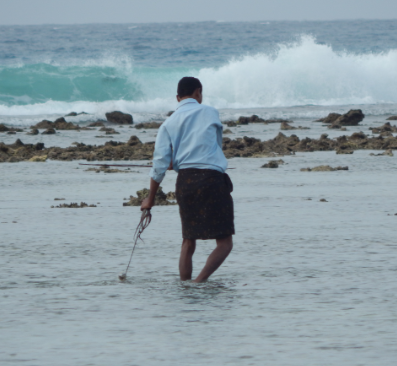 When the low tide time comes in the Lakshadweep Islands, during the lunar period, it’s islanders especially women’s time has comes out, from their house to explore the sea shore. 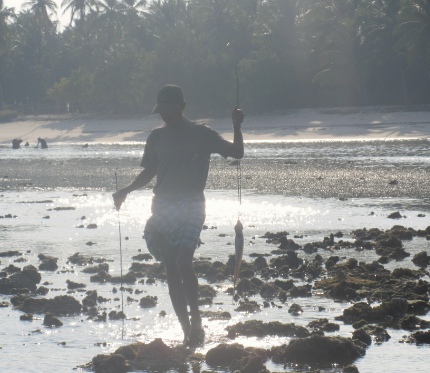 Normally Lakshadweep womens prefer or restricted to stay on their home territory. 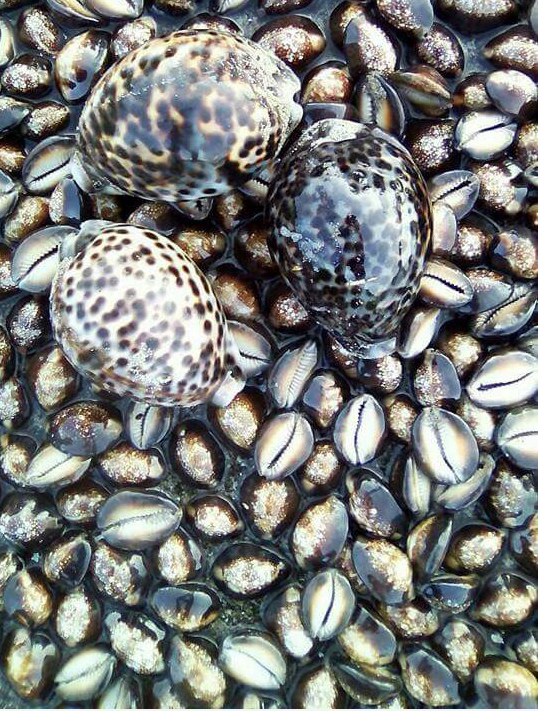 This is the time where, they are cones out, mainly for collecting “Cowry shells”. This is not only collecting a tiny piece a shell for selling to the tourists for 2 Rupees, but also one among the great pleasure activities to them. They liked a lot, walking through the shores, chats like it never ends, while the Men’s are focused on Octopus 🐙 hunting. To catch the octopus is only limited to a expertise hands to do. First thing, for difficult to find the Octopus den, then picking out. OMG. These collected octopus “Appal” (Local language), for making ‘Appal Biriyani’, a delicious food and also for ‘Appal Pickle’.